Today we have the first major (minor?) 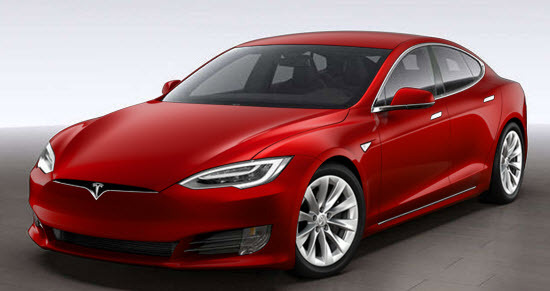 redesign of the looks of the Model S. Existing orders in queue will get the new features included at no extra charge. The lower radar opening has been moved. Actually unsure where it has been relocated to at the moment. This is likely in response to complaints that its previous location was ill-conceived as snow and slush would easily cover it, disabling autopilot/cruise. Center console now standard – it is a slightly revised design, and looks like it may allow for a more forward reaching arm rest, but that also could just be result of the seats being in a different position between the old/new pictures. Buying options are now Buy Pre-Owned, Buy New (which is actually inventory cars), Custom Order (which was the previous Buy New type option). This change seems to take Tesla closer to a standard dealership model as far as having inventory on the sale floor. It seems Tesla is going to chase the quick sale more so than in the past, rather than having to custom build the majority of their cars.